This light box offers a generous lighted surface with a 18" 15watt "daylight" fluorescent lamp included. 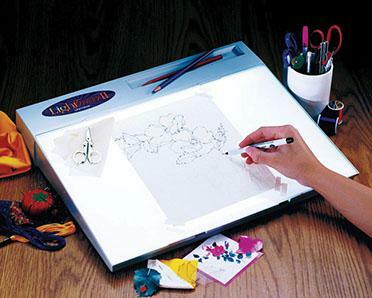 Features the same slanted tracing surface and a handy tray recessed into the top of the light box for holding assorted drawing and embossing tools. 12 X 18.